The book is about a journey, a compilation stories of happy, heartwarming, sad/emotional, and inspiring moments and challenges . It’s an in-depth look at my own self – doubt in answering the ‘call’ . I also talk about how to overcom e those doubts and challenges — and answer the ‘call’. In “Lembar-Lembar Pelangi,” I talk about how it’s not easy to leave our comfort zone — I was so used to working in corporations, earning a salary, climbing the ladder . And once I finally decided to leave my career in the corporate world and to focus on growing Taman Bacaan Pelangi [Rainbow Reading Gardens], it wasn’t easy. Other people might feel and experience the same thing. Some people might feel that there are other things that they should do in life, but the thought of leaving everything behind (financial security, career, etc) is so frightening. Most of us tend to ignore the ‘call’. I’ve been in that situation and I know that it’s not an easy thing to do. But I also want to say that it’s worth it :). So, I hope, by reading this book, people will be inspired to not only answer the ‘call’, but act on it! Again, I’m not saying it’s easy, but I am saying it’s worth it. Lembar-Lembar Pelangi is about a “city girl” – with her fast-paced career in the private sector – who decides to leave her comfort zone to build libraries in remote areas in Eastern Indonesia, providing access to books to the kids. By reading Lembar-Lembar Pelangi, readers will get a better understanding about the education quality in Eastern Indonesia, as well as the local culture. And readers will also understand on how Taman Bacaan Pelangi [Rainbow Reading Gardens] works and operates, our library system, and why our model is sustainable. People who want to start building community libraries, will definitely benefit from reading this book, because I shares my lessons learned here based on more than six years of experience running Taman Bacaan Pelangi, building children’s libraries in remote villages. 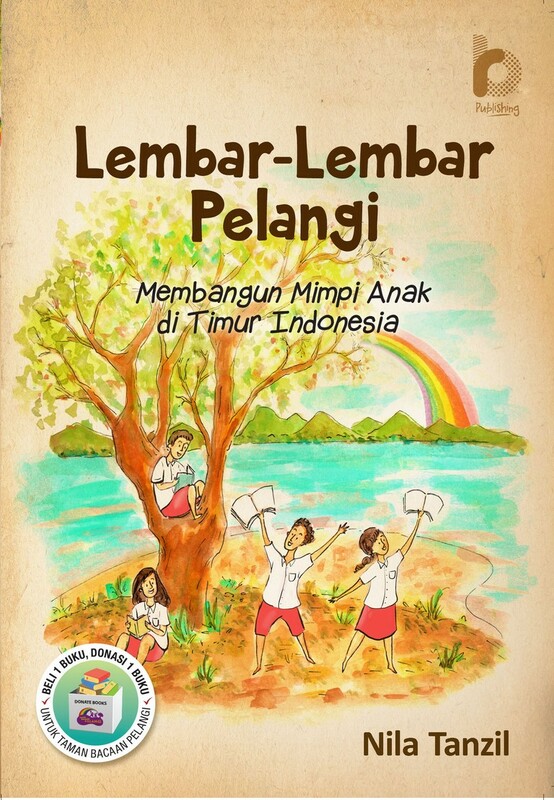 And hopefully, by reading Lembar-Lembar Pelangi, people will be inspired to start creating initiatives to contribute positively for the betterment of Indonesia.